Uncategorized | Live. Love. Breathe. 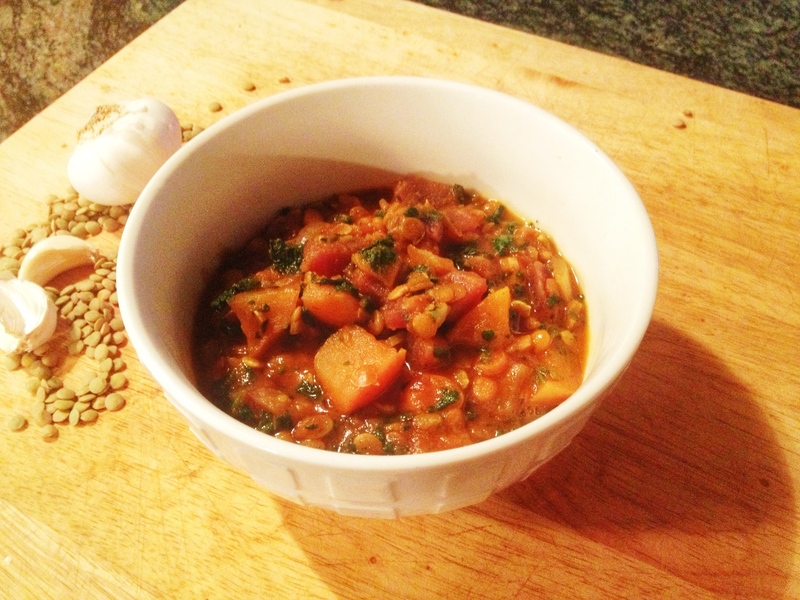 Infused with curry spices and chock full of wilted spinach, butternut squash, and sweet chunks of apple, this unique lentil stew is fragrant and flavorful beyond belief. In a large pot, heat oil over medium-high heat, and saute` onions and carrots until almost soft. Add garlic, ginger, curry, and salt, and let cook a few more minutes until fragrant. Stir in lentils, broth, and tomato paste. Bring to a boil, cover, and simmer for 25 minutes. Add squash and apples, cover, and simmer for another 25 minutes, or until vegetables and lentils are tender. Uncover and stir in spinach until wilted. Add salt to taste and serve.